As I wrote the title of this blog just now, I got to thinking that I should have done a ‘my first’ series whereby I go and try every kind of bike race and activity and write about my experiences. I guess I’ve done that already, but in a less formalised manner i.e. without getting all Challenge Anneka about it. So if you’re interested in reading what it’s like to do your first road race, first sportive, first enduro, first cyclocross race or first fixed gear crit, click one of the ‘my first’ tags below. If you can’t see the tag, it’s because I haven’t gone through and tagged the posts yet, so bear with me! 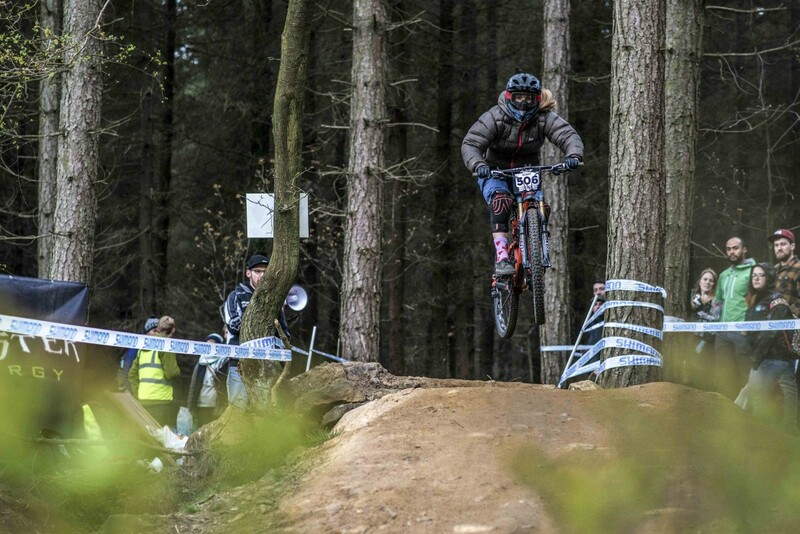 But anyway to get back on track… At the weekend I entered my first downhill mountain bike race, Peaty’s Steel City DH up in Sheffield. Bluegrass had sponsored the Men’s Veteran’s category, so as I was going up anyway, I thought I may as well enter. I had no idea what to expect at all, but having heard the event was not only one of the most fun and friendliest races on the calendar but also had the biggest number of female racers, I was really happy to secure one of the much sought after places. The morning of the race, Dave and I gave up trying to sleep at about 5.30am – we’d barely slept a wink as we were both massively overexcited about the event. A quick scan of the email we’d been sent revealed that the track opened at 8am for a walk through, so we sped off to Sheffield, collected our race plates and began ‘inspecting’ the course, supposedly so we could choose our lines and stuff like that. What actually happened was I nervously chattered the whole way down not paying any attention, and promptly forgot which jumps and berms came where. I followed Dave down for the two practice runs which made me feel at ease, and despite thinking ‘oh, I’m just going to take it easy and check out what is where,’ the minute I dropped in I went hell for leather. After rolling down a start ramp and over and around a few lumps, bumps and berms, I hit up the first little gap jump then continued through some tighter little berms before the course split off in a new direction to where it had gone previously. Unbeknownst to me, a lot of people had been up to Sheffield earlier in the week to practice (some with coaches!) and gain the upper hand, so the organisers had chucked in a diversion to confuse everyone. At the bottom, there was a rooty drop before the finish line, which I went off in practice but avoided later on, as I felt it slowed me down too much – I didn’t like hurtling off it full bore. The course was extremely smooth and fast, with plenty of opportunities to pedal and try and make up for dodgy technique. It was amazing how little peddling the ‘good’ people did, just holding their speed and pumping the berms properly. My riding was a little more haphazard, but it felt good to be able to tackle everything confidently. Practice runs done, we all queued up at the top for our timed runs. 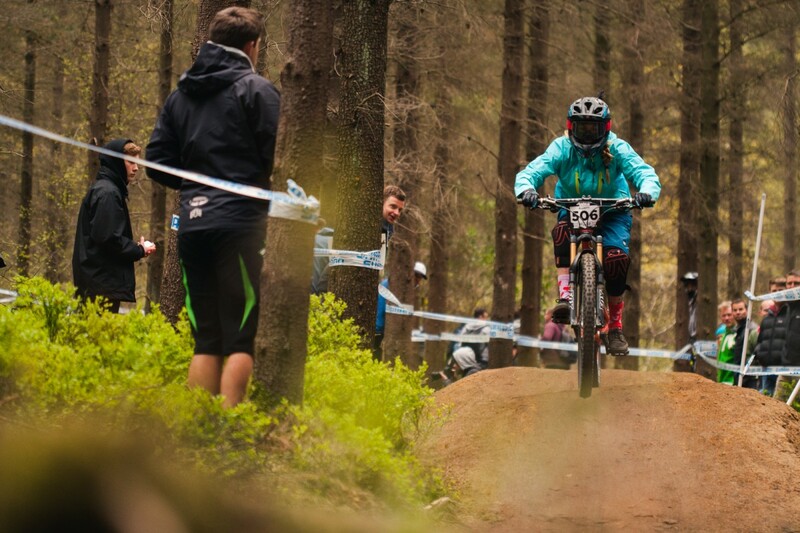 There were 71 women competing, which is astonishing for a downhill race; it just goes to show what can be accomplished with some dedicated, hands-on marketing. It wasn’t by accident that so many women had signed up, it was purely the result of the teams efforts the previous year when they’d personally contacted numerous women (including myself) urging them to sign up and to encourage their friends to do the same. Such a friendly, inclusive approach had encouraged many to try racing and this year they’d come back and brought even more ladies with them. As I queued up for my race run, I felt a bit nervous when I saw ex BMX World Champion Joey Gough behind me, who I know has recently made the move into mountain biking. Joey is an exceptional rider (check her our riding trails!) so I worried that she’d catch me before I reached the bottom. But in the event, I managed to hold my own and get down in a respectable time, in fact when I got to the bottom I was actually second fastest! Sadly, I didn’t stay in second place for long, because all the faster riders came after me bumping me down to seventh, but I felt absolutely elated anyway – I haven’t felt a buzz like that in ages. In the end, I slipped down a place to finish 8th out of the 31 women in my category and was totally delighted with that. Thanks to all the organisers for putting on such a great day, and also screw you, as I had so much fun that there’s no way I’m gonna want to ride any of my other bikes for quite sometime. 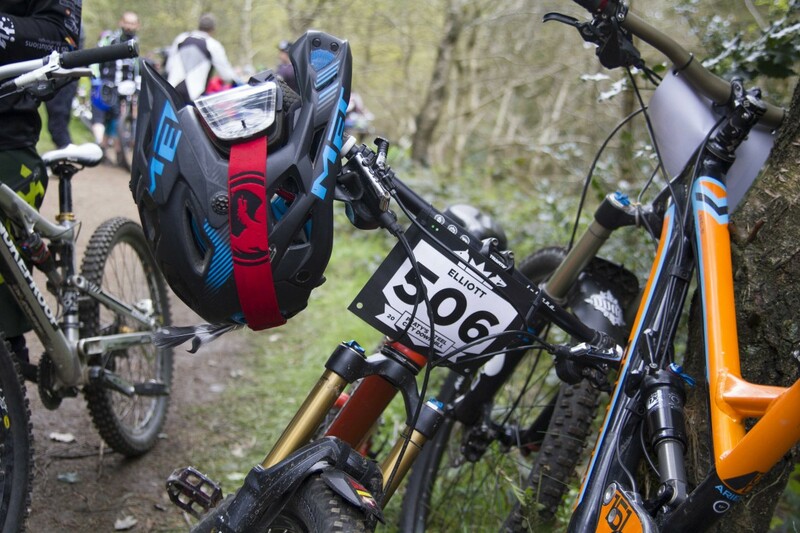 I’ve only ever done one other mountain bike event (the Bluegrass Enduro Tour in Ireland) so I’ve little to compare Steel City with, but the day blew pretty much every other kind of race I’ve done on any other bike out of the water. I’ll be back for more! thank you got joining the fun Juliet! But sorry we had to be your first… We’ve spoilt you!! Thanks for having me! And that’s a shame, you mean not all MTB races are that awesome? Hey Juliet, congratulations on your race result and what an experience, especially with that female turnout! I wanted to ask you a couple of thing. 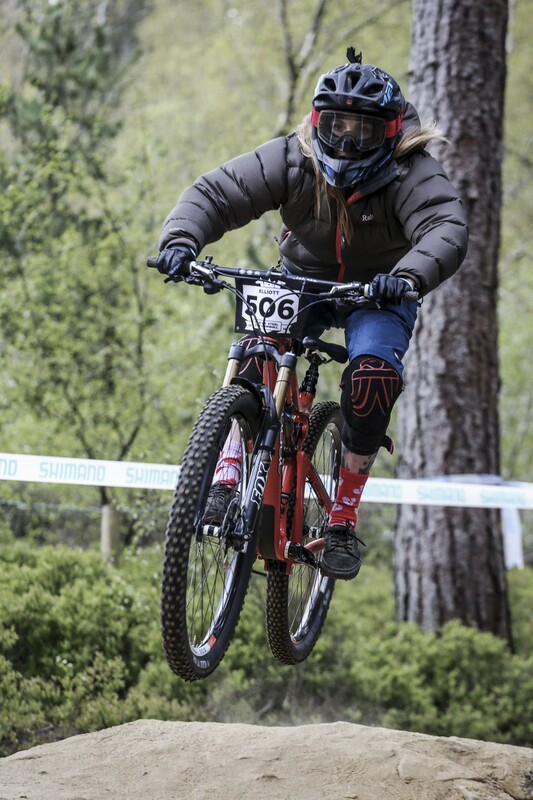 Are you riding a short travel Juliana at a DH race? Second, I love those knee pads. What are they and what are your thoughts on them? Hello and thank you! Yes, I was riding an all-mountain bike rather than a full on DH bike because the track wasn’t super steep and I wanted to be able to pedal. 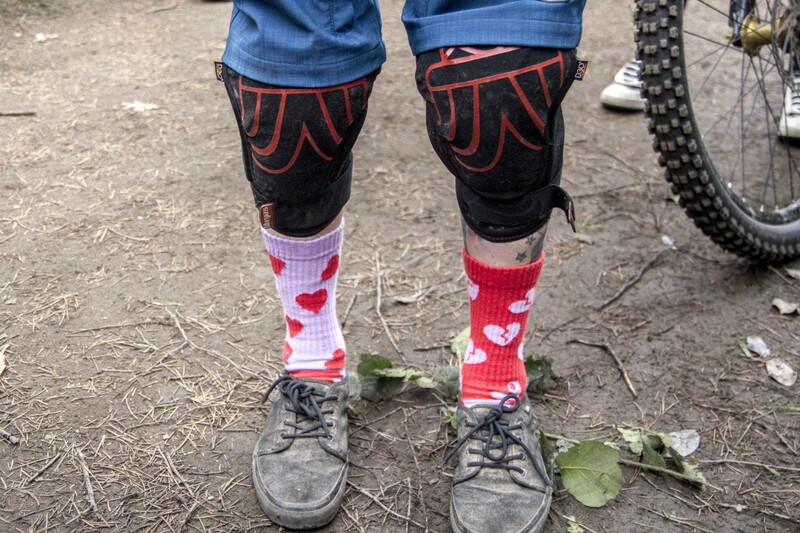 As for the kneepads, they’re by Bluegrass, called the Bobcat D30. Great for maximum protection! First of all, I’d say, the moment I started reading your experience, it made me excited. I felt like it was happening in reality. Very well depicted through words. Secondly, Congratulations to you Juliet on your race result. I really liked those knee pads, COOL! Keep it up dear. Down Hill sessions in those muddy vans! Can’t beat the fun combination of Vans and Flats! haha, yeah those Vans are SO slippery!! Been meaning to get some grippier shoes for ages but it never seems like I’ve got enough money! .Previously A Female Frame Builder Speaks!